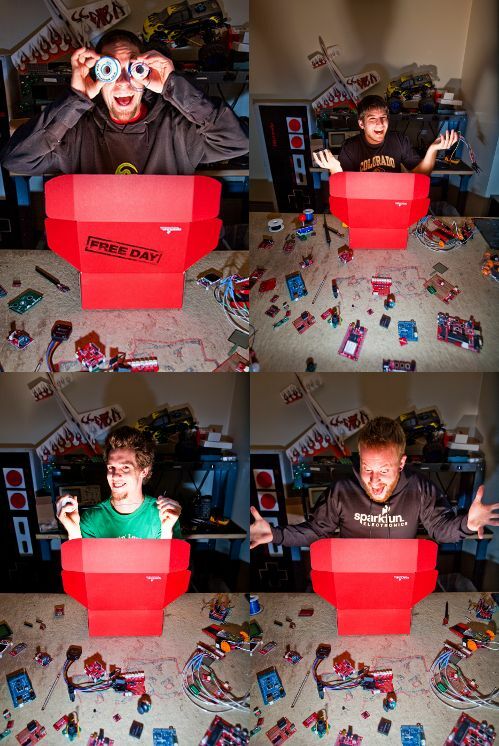 Reminder: Sparkfun Free Day Is Tomorrow @ 9am MST!! sparkfun.com has been down most of the week. Doesn't look like most of us will be getting in, but animal spirits being what they are, they're going to get a huge number of paid orders just from the frustrated freeday wannabes. PING sparkfun.com (207.174.76.106) 56(84) bytes of data. What if the 5 people who get in order what I want & send it to me. Just an FYI, Sparkfun.com never responded to ping. The site itself is still breathing. I was able to get an order thru a few mins ago after about 6 failed attempts. I'm guessing they are turning away over 10 times as many people as they are serving and that Free Day has already been a success financially for SF and it is still T-2hrs to go. 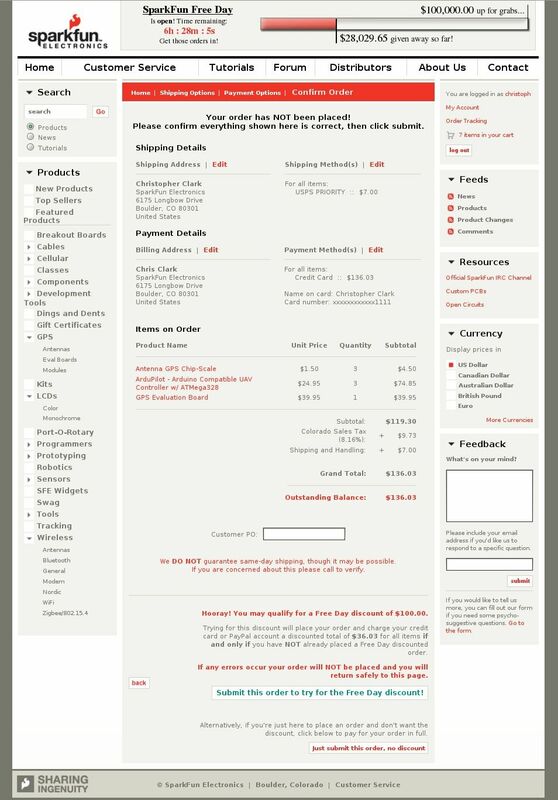 My little order is ready, When should I hit the checkout button? I thinking 5 min till 9:00 ? ?